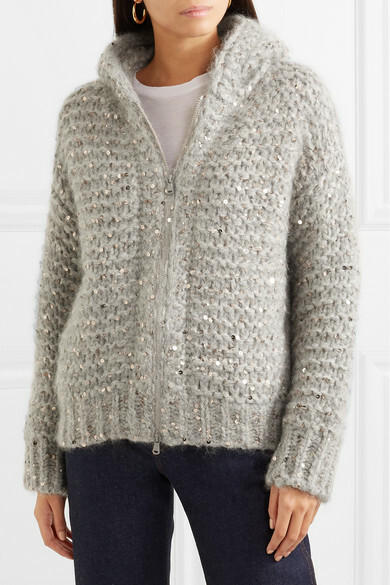 Brunello Cucinelli's cardigan is spun from a soft mohair-blend and embellished with shimmering sequins - a detail we've seen on so many of his pieces the past two seasons. 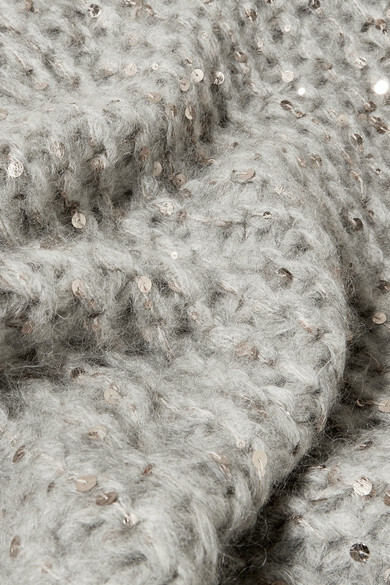 It's designed for a loose fit and has chunky ribbed trims and a cozy hood. Wear yours over a T-shirt and jeans. 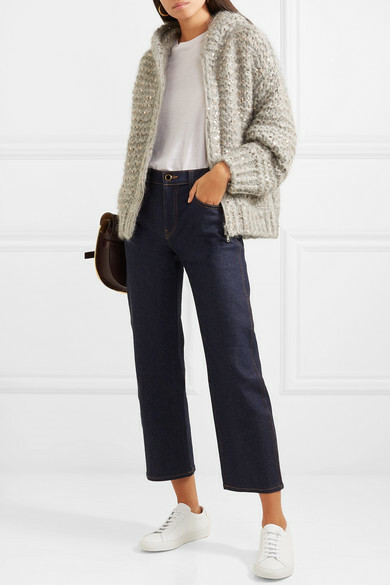 Shown here with: Khaite Jeans, The Row T-shirt, Loewe Shoulder bag, Common Projects Sneakers, Sophie Buhai Earrings.